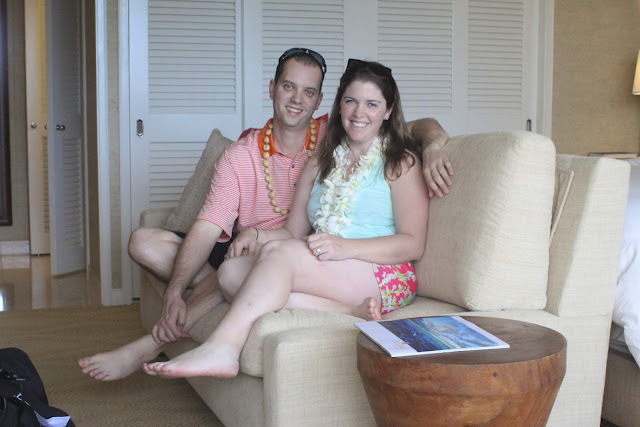 I'm so excited to start recapping the trip we took to Hawaii last month. Neither of us had ever been to the Hawaiian islands before, and with the help of tons of suggestions from family, friends, and fellow bloggers, we finally settled on Oahu for our first adventure to the fiftieth state! We decided to explore the whole island on this trip instead of island hopping, and on our next trip out there, we will mostly likely venture to a different island. 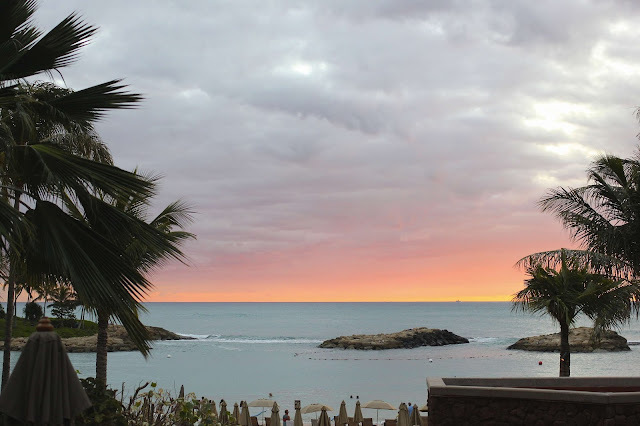 I'm really glad that we went with Oahu for our first trip; it was so quintessential Hawaii with beautiful sunrises, sunsets, waves, kind people, delicious food and coffee, and famous sites to visit. 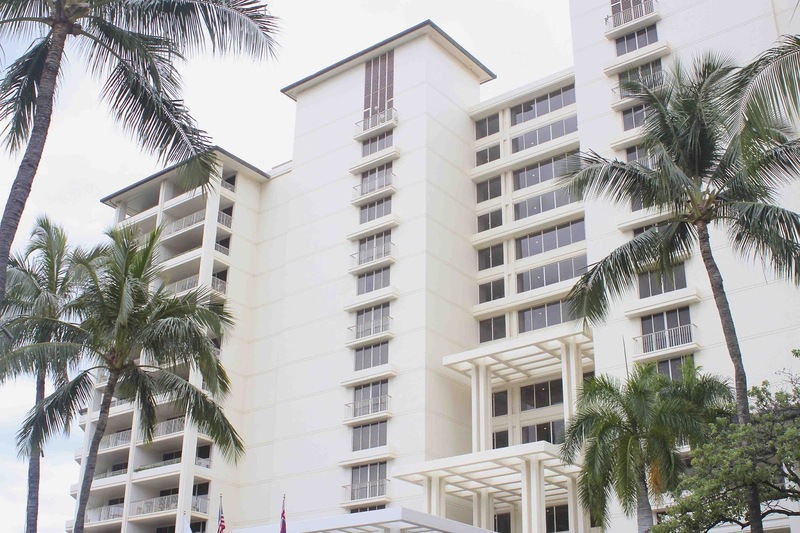 When we booked the trip about six months ago, we weren't sure if we were going for total relaxation or exploration while out there, so we booked a resort with a bit of both, outside the city, away from the typical busy Waikiki destination. 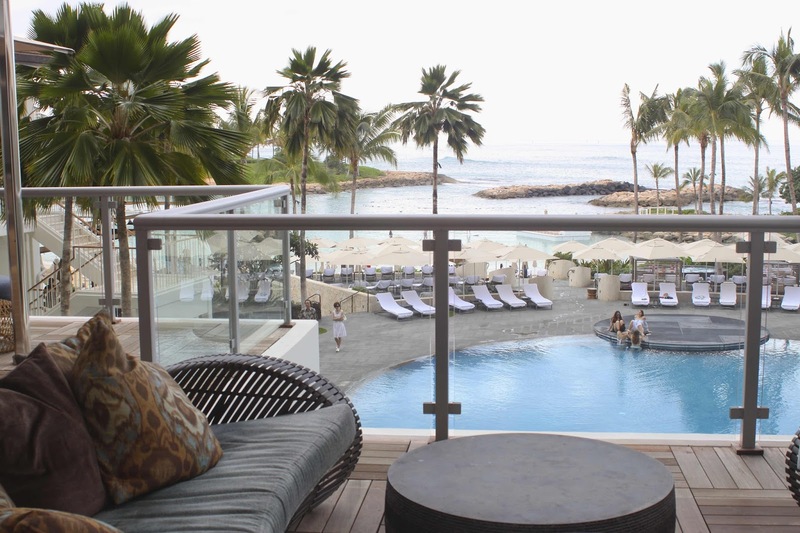 We stayed on the Southwest corner of the island, in an area called Ko Olina, which means fulfillment of joy in Hawaiian. With a few hotels, a golf course, and private lagoons, we knew this would be perfect for us. 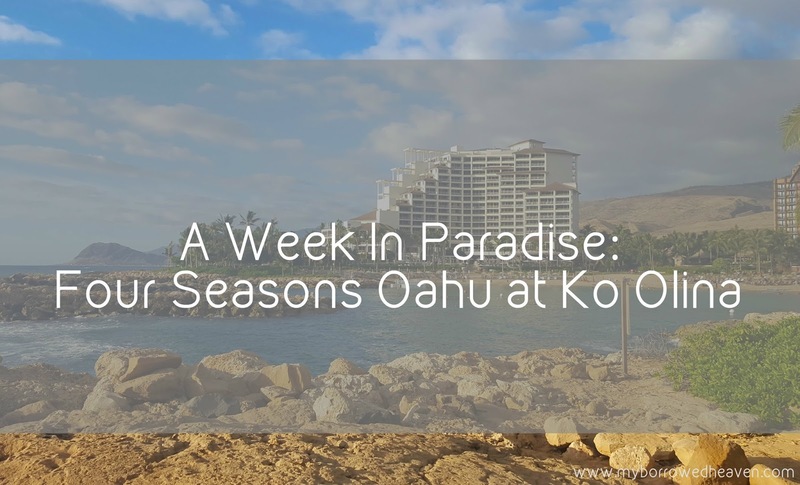 We stayed at the Four Seasons O'ahu at Ko Olina, and my goodness, it was beautiful! 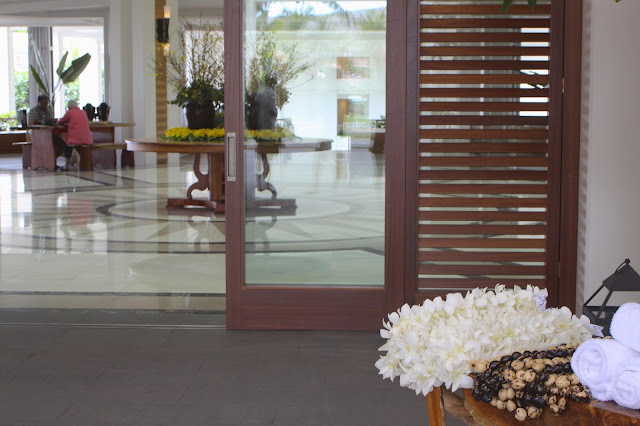 The moment we arrived, we received a traditional lei greeting and were welcomed into the bright and airy lobby. You could see all the way through to the ocean on the other side, and with all the open doors and windows, the sea breezes were wonderful. I loved that the whole resort felt like you were outdoors, in nature. I could write a whole post about the kindness and helpfulness of the staff at the Four Seasons. Everyone was fantastic and made for a very enjoyable trip! Our room was spacious with these huge sliding doors that opened to our private lanai, a few stories up from the Pacific Ocean. This resort just opened last year, and you can definitely tell it is a 21st century destination. All of the lights have different programmable settings and there's an iPad next to each bed to replace typical room service menus and amenity catalogs. 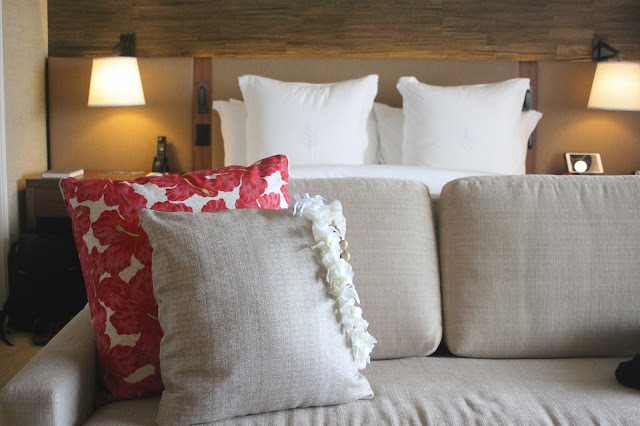 We explored the whole resort while we were there: spa and health center with rooftop tennis courts, three pools, cute boutiques, and paddle boarding and snorkeling at our beach. Our favorite spot was definitely the adult pool, especially in the afternoons. An adorable cart came by everyday around 2:00 to offer complimentary Mai Tais and other Hawaiian cocktails. There were tons of delicious restaurants and drinks to try not only at our hotel but also across the street in this fantastic shopping/dining area. 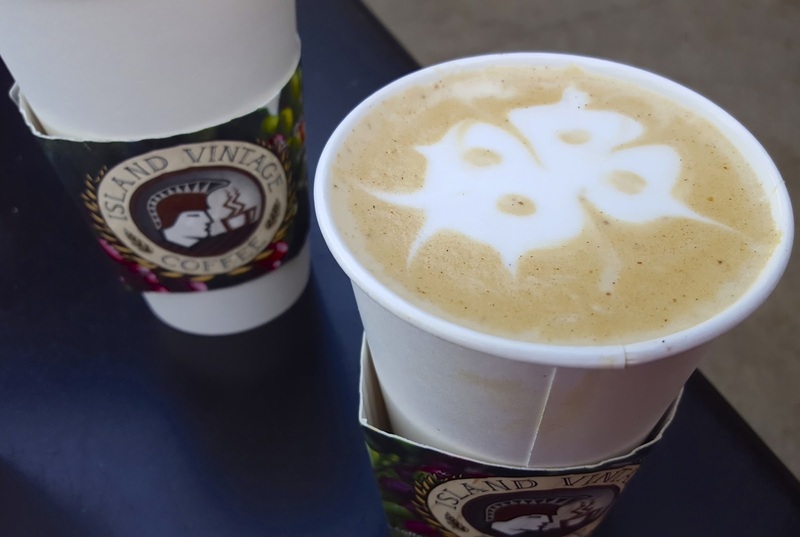 Our favorite was definitely Island Vintage Coffee, the cutest little local coffee chain. My daily pick was either a Hawaiian Honey or Island (macadamia nut and coconut) Latte. I had never really eaten many macadamia nuts before going to Hawaii, and I was definitely missing out! 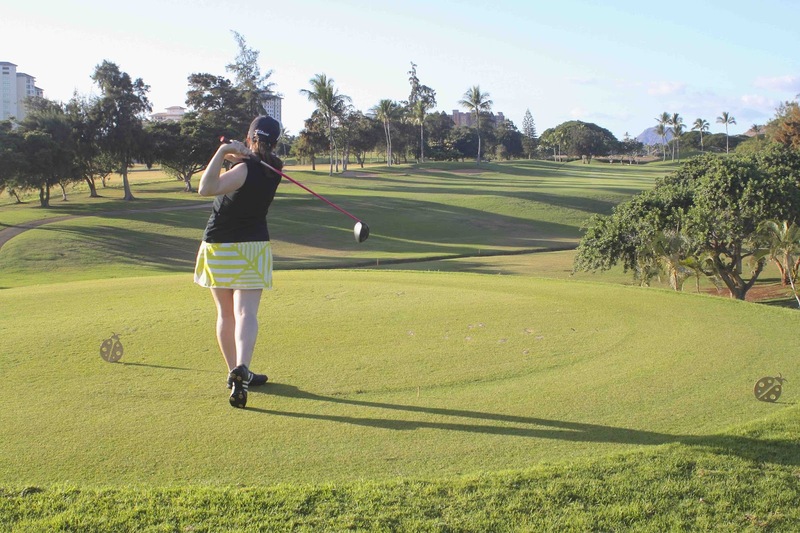 One of the main reasons we chose this resort was because one of the top five golf courses on the island is located just across the street: Ko Olina Golf Club. The conditions were beautiful, I loved the speed of the greens, and you could see the ocean and mountains from so many of the holes. They even host an LPGA tournament there every year. Of course, we also had to take a short walk next door to see what the Disney resort, Aulani, was all about. It reminded me so much of a Disney park, and if you had kids, it would be a great place to stay. They offer a dining plan (yes, there's character dining! ), scavenger hunts, childcare, Disney Photopass, and even a lazy river and water slides at the pool! 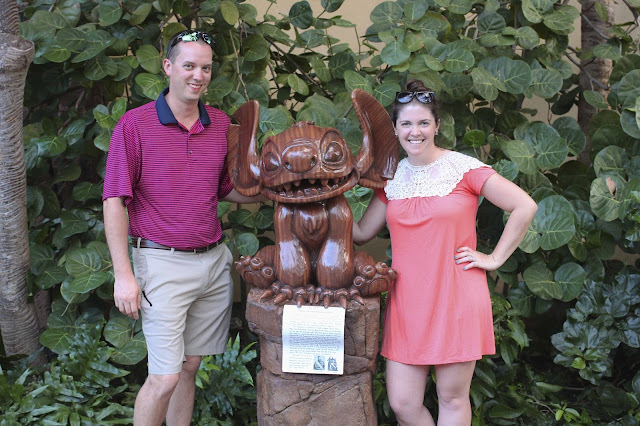 We went over to check out the famed Stitch statue and grab a photo. 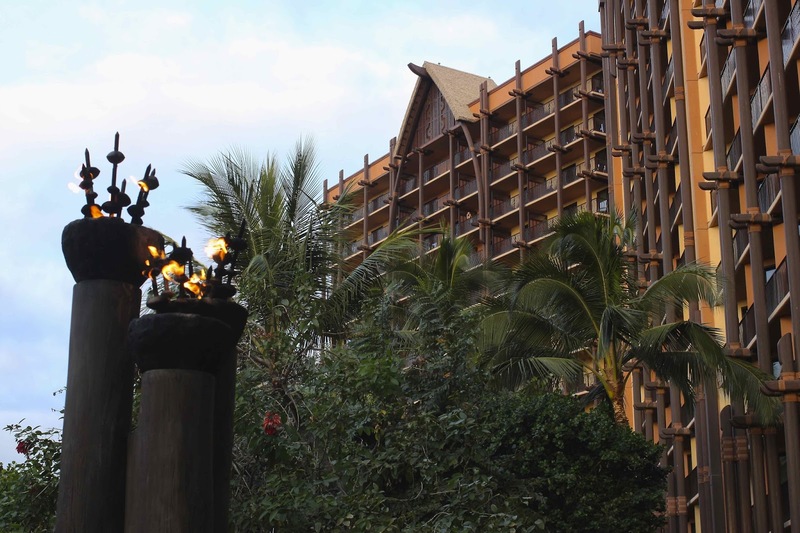 We were glad that we stayed at the more relaxing and low-key Four Seasons, but Aulani was definitely a fun must-see! Last but not least: the sunsets. Living on the East Coast, we don't get those beautiful nights with the sun going down over the water, and it was just amazing! 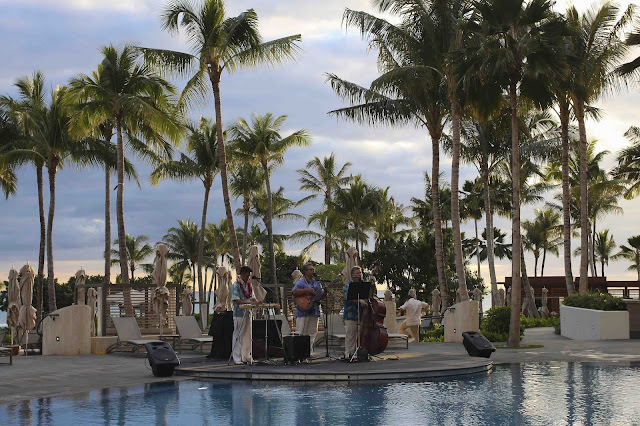 The resort had beautiful Hawaiian music playing as the sun set almost every night, and everyone always stopped what they were doing and watched the sun set every night. The resort really made for the perfect setting for our trip, and I can't wait to share some of our adventures with y'all soon! What a beautiful place to stay! I've heard others talk about how amazing it is. You had me at Disney though haha that resort sounds awesome! That sunset is amazing! Looks like an amazing trip. 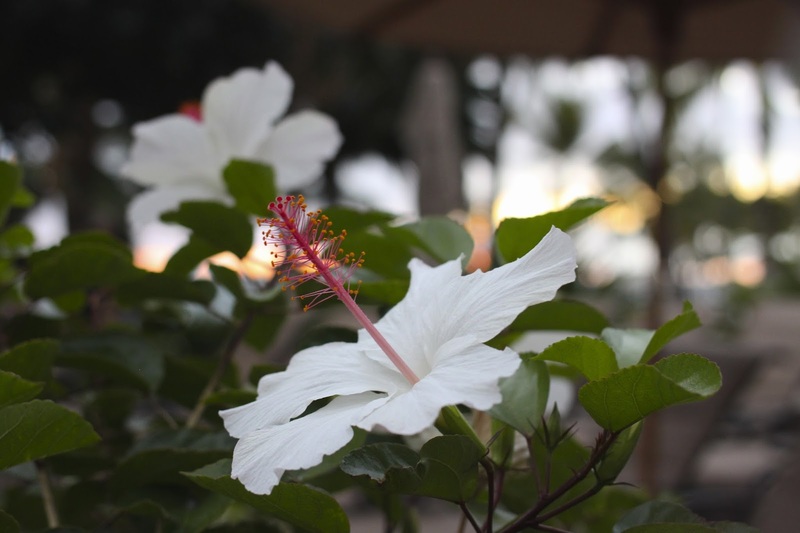 We stayed on Oahu when I went to Hawaii, and I loved it so much, I considered moving there! Those sunsets look so beautiful! Looks like you had a great trip! Swoon! 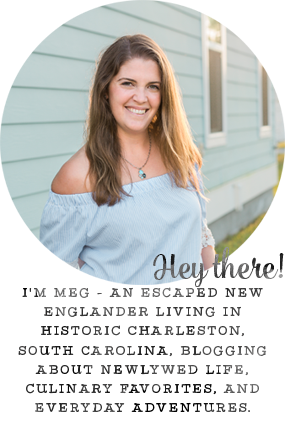 It will probably be a long time before we ever go to Hawaii but I was set on going to Maui, but this post might have changed my mind! Your view is so amazing! Four seasons are gorgeous resorts!! Yay for stitch too! I can't wait to hear more about your trip! 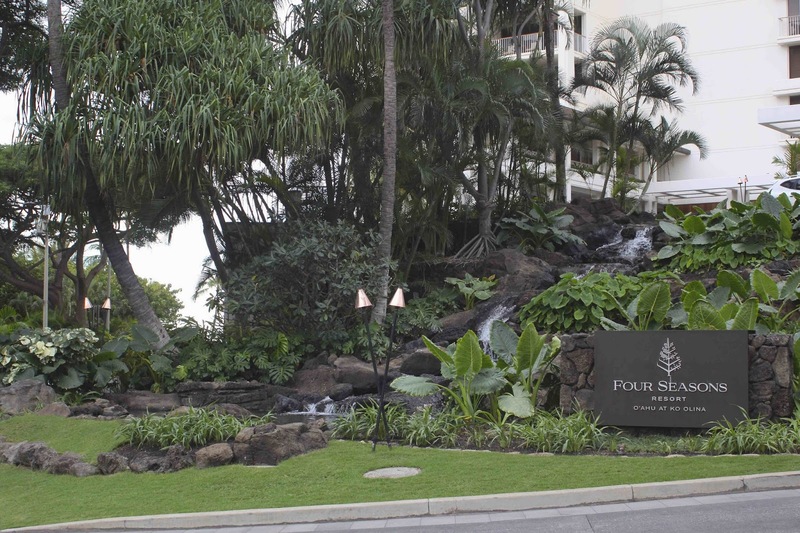 I've never been to the Four Seasons so I loved seeing your pictures! What a beautiful place. Believe it or not, I've never tried Island Vintage Coffee. Now I really want to try the Honey and Island lattes. I think there is one in Honolulu and next time I'm there I'm totally trying it. This looks like the trip of a lifetime!! We need to get to there! Great pictures. Thanks for sharing with us! I looooove Koolina! I'm so glad you guys had fun. Oh lord I miss Hawaii! This looks like such a beautiful place to stay! 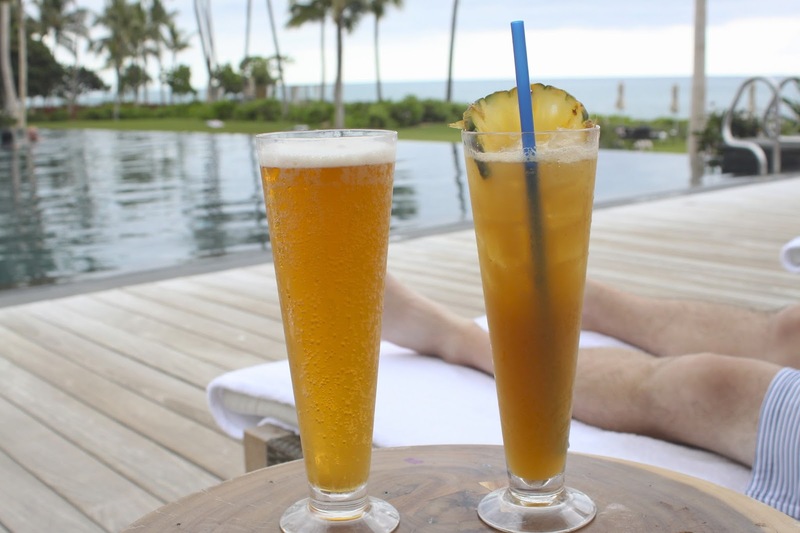 And anywhere that has complimentary mai tai's is a winner!! Thanks for posting. We're working on our Hawaiian honeymoon now! I LOVE the dress you are wearing in the photo with Stitch! The resort looks amazing, I love that it has moved more into the 21st century. I can actually attest to the fact that the food was delicious because, unlike other hosts who I hear never get to eat a bite, at New York wedding venues there was a staff member by my side every so often kindly reminding me to eat! We received the best possible service here. Oh my goodness! I want to start packing now! ;) What an incredible vacation!! That sunset alone made it worth the trip! :) So glad you loved where you stayed. It sounded absolutely perfect! !